TheOneMilano has chosen some fashion and tourism destinations in Lombardy. 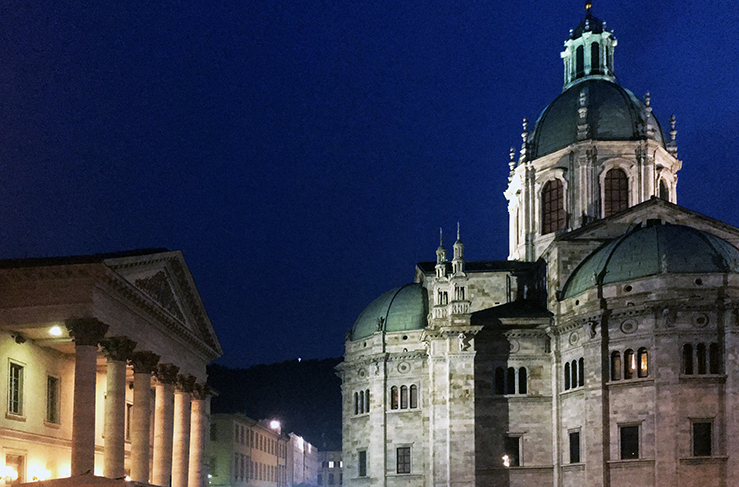 COMO is historically known as “the city of silk” and offers a wealth of places to visit, with textile museums, historic civil and religious buildings, and a natural landscape that visitors from around the world flock to see, thanks to the lake. In the city centre’s historic streets there are shops selling remnants and silk accessories, prestigious civil and religious monuments, such as the Duomo with the adjacent Broletto, San Fedele and its medieval square, and Italian Rationalist monuments (the Casa del Fascio designed by G. Terragni, the Monument to the Fallen, designed by A. Sant’Elia) (the Casa del Fascio designed by G. Terragni, the Monumento ai Caduti, designed by A. Sant’Elia). Outside the centre, you can take a walk along the beautiful lakeside promenade to Villa Olmo, an historic villa with a park overlooking the lake, where the “kilometre of knowledge” starts, which leads you through the surrounding nature to Villa Sucota, home of the FAR. Its approx. 1,000 sq. 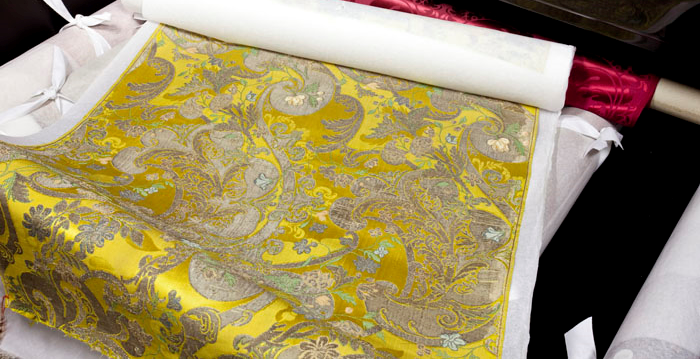 m. is home to precious historical artefacts from Como’s silk fabric factories: machinery, tools and documents that tell us all about the history of silk production through time, in the individual production phases and through the whole production process. 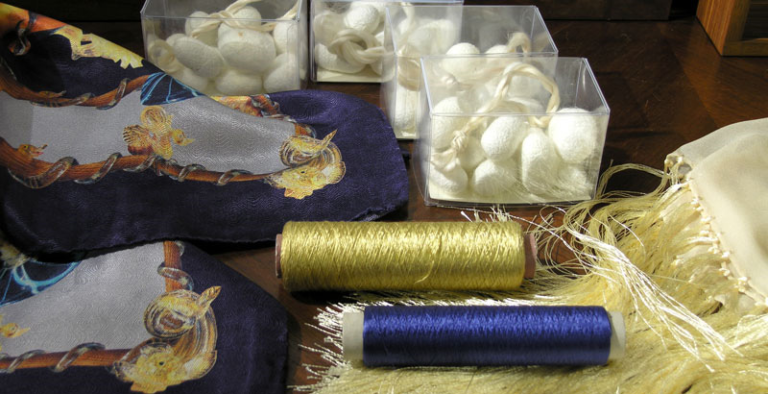 The Museum is located in a building that houses Como’s historic silk-making school, just a 5 minute walk from the “Como Borghi” train station (Ferrovie Nord Milano from Milan and from Como Lago). VISITOR INFO: Tuesday – Sunday 10 a.m. – 6 p.m. for individuals and groups (by reservation). Guided tours are available in Italian and in English. Visiting archives not on show, by appointment. 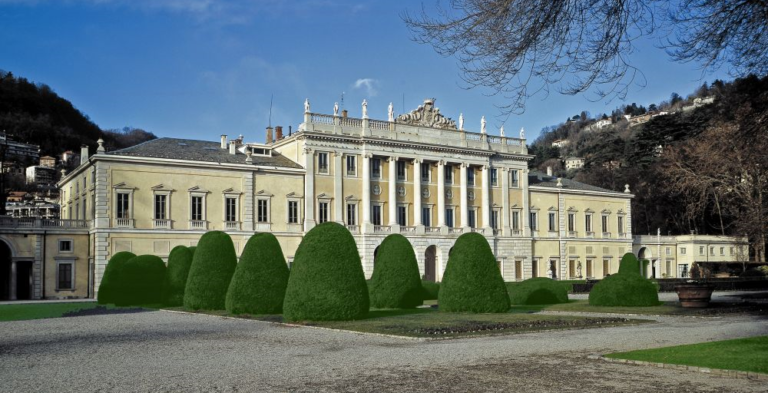 The Foundation is in Villa Sucota between Como and Cernobbio: it houses temporary exhibitions and is home to the Textile Studio Museum (MuST). The collection of more than 3,300 textile items and more than 2,500 sample books illustrate the history of fabrics, showing visitors FAR’s textile collections, from Coptic fabrics dating back to the 4th century AD to fabrics made up to halfway through the 20th century. VISITOR INFO: by reservation, paid guided tours are available in Italian and in English all year round. More specific lessons on certain historical or technical aspects are available. The collection is contained in an online multimedia catalogue, which you can consult without damaging the ancient textiles. (Ratti Foundation – catalogue, approx. 30,000 files, constantly updated). Heading from the lake towards the medieval Porta Torre, the pedestrian old town centre has a number of beautiful historic civil and religious buildings dating back to between the Middle Ages and the early 20rh century. With its restaurants, cafés and shops, the “city of silk” has three particularly important silk stores specialising in silk cutting and items. In Via Vittorio Emanuele Picci, an historic store established in 1919, specialises in making and selling handsewn pure silk ties, pocket squares, scarves and foulards all made in-house. 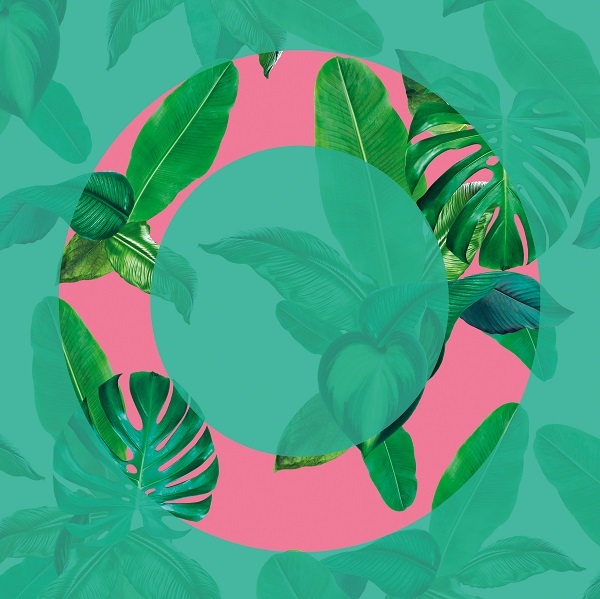 In Piazza Cavour, at InSeta you can wander through the ties, foulards, shawls, scarves, blankets and cushions: thousands of items, the very best silk that Como makes, from the most prestigious labels. In Piazza San Fedele, at Seterie Trombetta Lanerie the walls and windows are entirely covered with cuts of silk and remnants, and you’ll find silk fabrics with exclusive prints and a selection of ties and foulards.. The Neoclassical villa, built in the 17th century, is surrounded by a large Italian garden. The lake side features flower beds with statues and a fountain-sculpture; behind is a hillside park where the “kilometre of knowledge” begins, a walk towards Cernobbio with paths through nature past beautiful historic buildings like the Serre del Grumello and Villa del Grumello, taking you directly to Villa Sucota and the FAR/MuST Textile Museum. PARK: 5 April – 30 September, every day 7 a.m. – 11 p.m./ 1 October – 4 April, every day 7 a.m. – 7 p.m.